#1 Select what you want to custom order.. 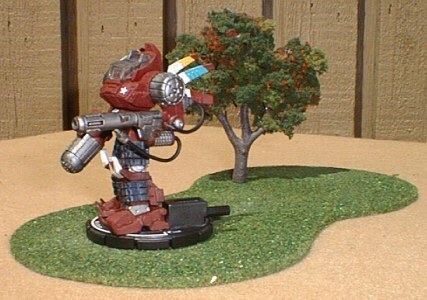 Note: All terrain / scenery items sold as is ... models and/or mechwarrior figures are not included. Combined shipping is available and most single terrain pieces can be included with your CATterrain system and/or a flocked game mat for little or no extra cost. Inside the USA we use Priority Mail. Most international air mail rates can be twice of those listed above ... please contact us for a quote if ordering from overseas. Place your order today and your custom built item(s) will ship 1-2 weeks after your payment clears our account. Please remember to include your complete name, e-mail address & shipping address, along with your request. We should contact you within 48 hours to reconfirm the order and provide you with the total amount due. We accept US Dollar Money Orders & Cashiers Checks made payable to J. Cooper Cazedessus. Debit / Credit Cards are accepted on-line through PayPal. Sorry, we do not accept checks nor do we ship COD. The buyer is responsible for any insurance if desired. CATterrain, LLC is not responsible for items damaged, misplaced or lost in transit. If an error was made by us in your shipment or you received defective merchandise, we will give you the option of having the item(s) replaced or your money refunded, whichever you prefer. You must notify us at CATterrainllc@yahoo.com within 7 days of receipt. We will give you instructions on how to return the defective / incorrect merchandise. No restocking fees are charged on returned products.